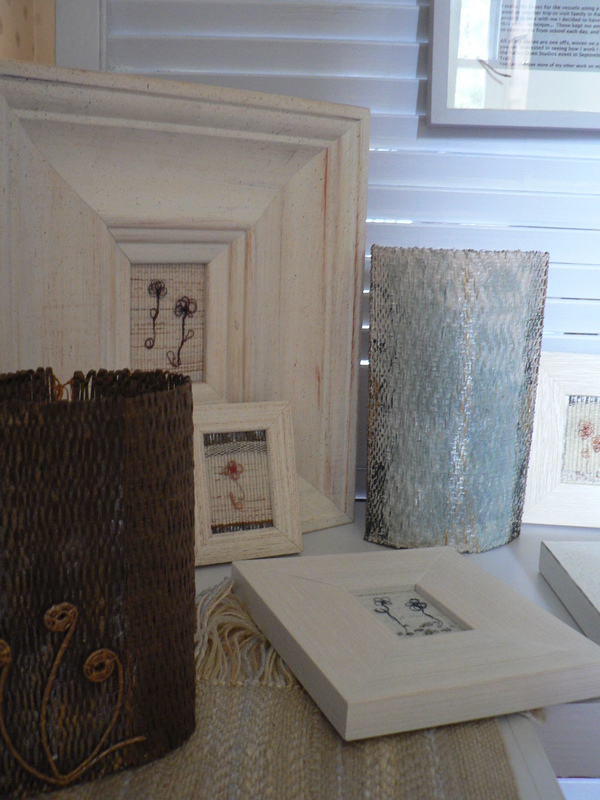 Drawn to the Valley is a group of artists based around the Tamar Valley – an area of outstanding natural beauty. Amongst other events, we hold an ‘Open Studios’ event annually. Roughly every other year since I joined the group, I’ve particiated from my home in Peter Tavy, near Tavistock. It was in Peter Tavy that I’d learnt to weave, as a founder member of Peter Tavy weaving/spinning and dyeing guild. As my hobby began to take over space in our home, and I embarked on a college weaving course, my husband built me my own little weaving studio. With a view over the garden, and beyond to Dartmoor there was plenty to inspire me there, and during Open Studios I pitched a tent to give me extra space. 2015 was the last time I took part in Open Studios there- just a few days before moving to Plymouth. In fact, as we had begun to pack the contents of the house I was able to hold it in our home instead of the garden. It was a fantastic – if a little emotional – way of ending 20 happy years of living there. This year my studio in Plymouth will be open once again as part of the ‘Plymouth Art Trail’ with Drawn To The Valley. The dates will be Saturday 22nd to Sunday 30th September, coinciding with Plymouth Art Weekender. 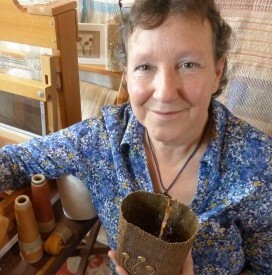 Photo of me in my studio – taken for Contemporary Craft Festival.